Groups who don’t quite fit into an 18 passenger minibus will find the 20 passenger minibus more comfortable and accommodating. Perfect for short distances, like a night out in town or a shuttle option around the city, this modern minibus will get your group to their destination safe and sound. 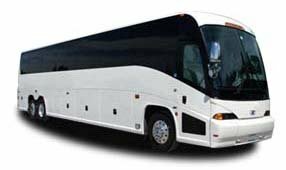 No matter if you need group transportation for business trips, sporting events, wedding receptions, field trips, and more, we’ll ensure your group secures efficient and safe travel options. With service extending to Austin, Houston, Fort Worth, Dallas, Midland, Corpus Christi, and more, we're always able to get you exactly where you need to be! Call our 24/7 reservation specialists at 281-383-9491 for a free, no-obligation quote.